During the last few days, I have been giving myself a beautiful gift: I have been reliving my favorite childhood books and rediscovering new childhood classics. By reading these tiny pieces of Heaven, I find myself immersed, once again, in the simplicity and creativity of my childhood. With all of the stress, financial strain, and personal struggles that adulthood can bring, there is nothing quite like curling up with a beloved book from a simpler time. It is no secret that I am an avid reader, and honestly I can think of few activities that are more enjoyable than reading a good book. I was the child who was always told to put my book away in school, and I am the adult who sneaks reading time in whenever she can. As a child, when I opened the pages of a book, I flew away to a world completely unknown but totally familiar at the same time. Even as an adult, I often imagine that I have my own secret sanctuary that no one else can understand; a world filled with various snippets of books I’ve read throughout the years. To be fair, I think all voracious readers have these worlds. It’s filled with locations you dream of visiting, characters you long to meet, plotlines you wish you could live out, and friends you have met along the way. It’s a special place that no one else will fully understand, and it’s as home as the dwelling around you at night. 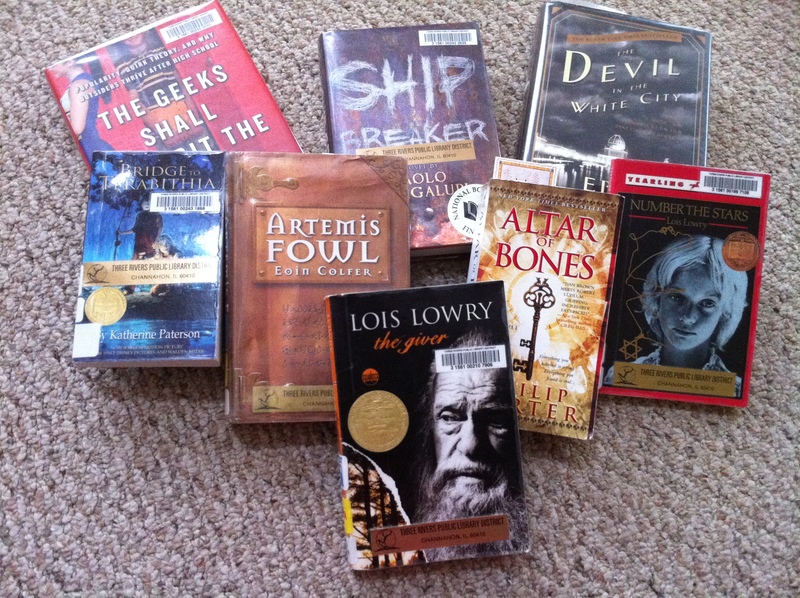 Because of my love for books, one wouldn’t second-guess that my favorite place (outside of my home) is the library. Even today, I walk into one and feel the wonder that I felt many years ago as a child. Thanks to the library, I have walked the streets of London, dove within the deepest ocean, had tea with Asian royalty, flown over a mythical school, and encountered numerous other journeys that would never be possible for me in real life. Honestly, what a gift I have been given. With my love for reading, comes a love for writing. I write daily. Between my blog, my journal, and my young-adult story I’m working on, I am constantly creating something with words. Although I’m a very skilled reader (and I pride myself on this), I’m not the most skilled writer. I have years of practice ahead of me before I’m anywhere near being a “good” writer. And that’s ok. I know my strengths (descriptive settings and characters), and I know my weaknesses (grammar, fluidity, and a boatload of others). I work on both, and I enjoy strengthening my writing skills. Eventually, my goal is to write a book and then publish it. Until then, I will enjoy falling into the capable hands of much more talented writers while I read my books, and I will keep working on writing. ← My Insurance Theme Song!